DERMASTIR AMPOULES VITAMIN C -Topical vitamin C or ascorbic acid is a popular vitamin being added to skin care products. Currently, there are many advertising claims of topical formulations containing antioxidants that will protect against and reverse ageing. However, the truth is that many of the available formulations contain very low concentrations and are not well absorbed by the skin. 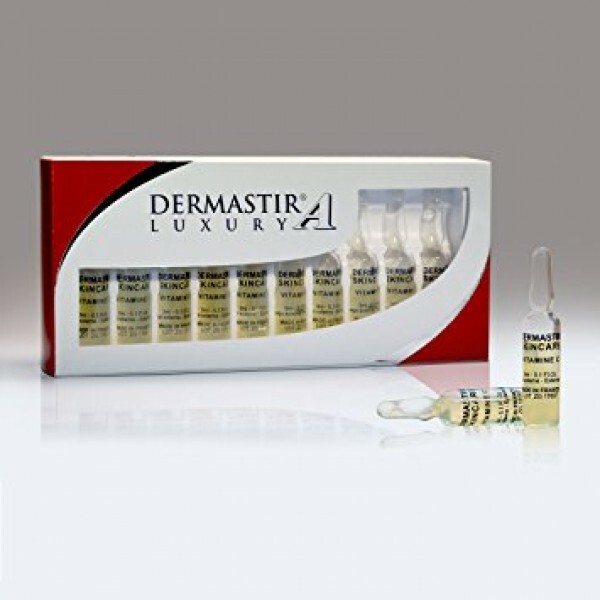 On the other hand, when Vitamin C is manufactured into a stable topical formulation presented in glass ampoules, it is a powerful antioxidant that is proven to be effective in protecting against premature aging.